Warner Bros. superheroes really can’t catch a break, can they? 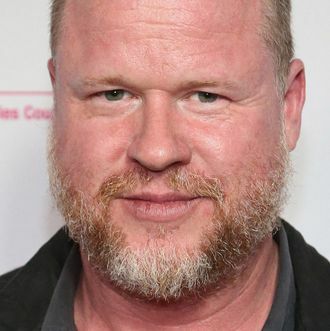 Just three months after the severe critical and financial disappointment that was Justice League, more bad news has come across the pike for fans of the Warner-owned DC Entertainment brand: Joss Whedon is giving up on his Batgirl movie. First mentioned last March, Batgirl was supposed to put the longtime Bat-family character into the spotlight with the Buffy and Avengers (and, lest we forget, Justice League) helmer writing, directing, and producing. But Whedon just told The Hollywood Reporter that he couldn’t get it off the ground. The quotes he gave THR are remarkable for their depressed-sounding frankness. “Batgirl is such an exciting project, and Warners/DC such collaborative and supportive partners, that it took me months to realize I really didn’t have a story,” he said. He thanked Warner higher-ups Geoff Johns and Toby Emmerich for being “so understanding when I, uh, is there a sexier word for ‘failed’?” This is a severe PR blow to the DC-movie enterprise, which keeps being associated with movies that get stuck in development hell (The Batman, Gotham City Sirens, and Dwayne Johnson’s Black Adam movie all leap to mind). Since Batgirl was Whedon’s idea, not DC’s, it’ll be interesting to see whether the studio bothers to move forward with it now that he’s no longer associated. Hey, Lindsay Lohan’s been pretty keen on starring in it — maybe she can write and direct it, too?